Say for example you enabled "Swipe Up to Wake" during kernel setup. With this app, you can assign any activity, shortcut, or app to launch when you perform this gesture, rather than having it simply wake your phone. And if you haven't installed ElementalX just yet, don't worry—we'll start from square one right after the break. If you've already installed the kernel, you can skip this step. But if you're just starting out, Danny has a guide available here that will help you get ElementalX installed on your device. 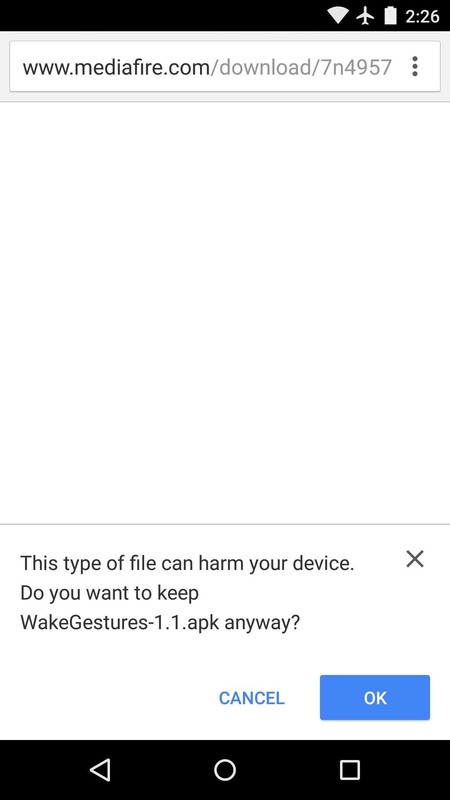 During setup, make sure to enable at least one wake gesture. 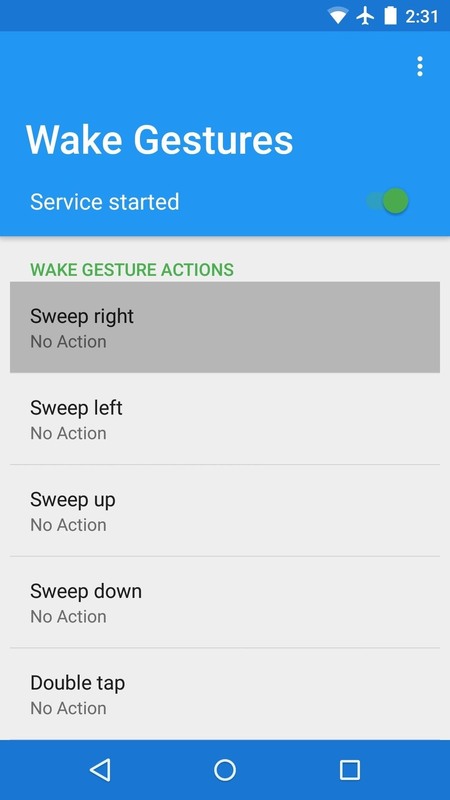 If you'd like to be able to launch more than one custom action with wake gestures, I'd recommend enabling as many gestures as possible. 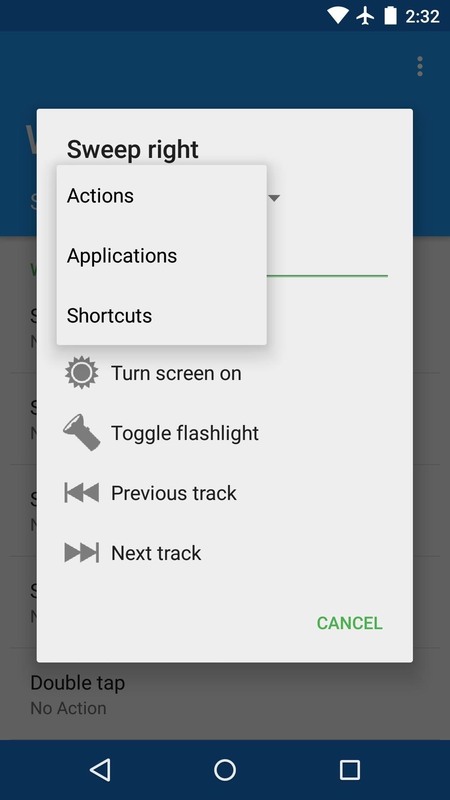 Step 2: Install "Wake Gestures"
With ElementalX installed and at least one gesture activated, it's time to install the app that lets you assign custom actions to these gestures. To begin, point your device's web browser to this link, then press "OK" on any filetype warning messages that may appear. 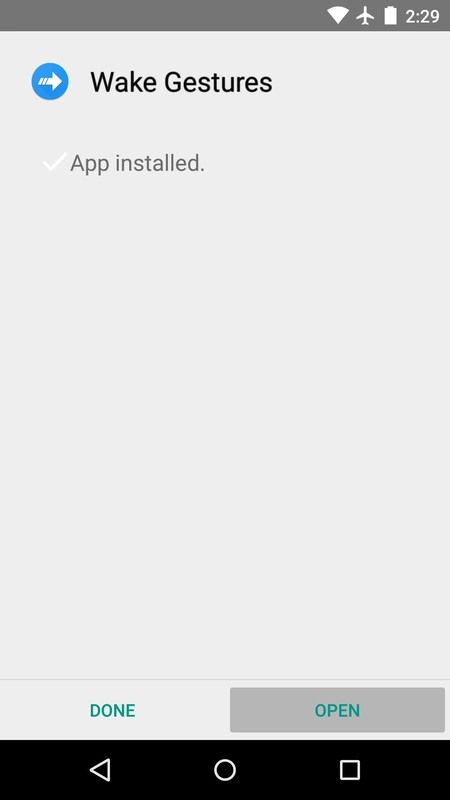 When the APK file is saved to your device, tap the "Download complete" notification. From here, press "Install," and when that's finished, tap "Open." 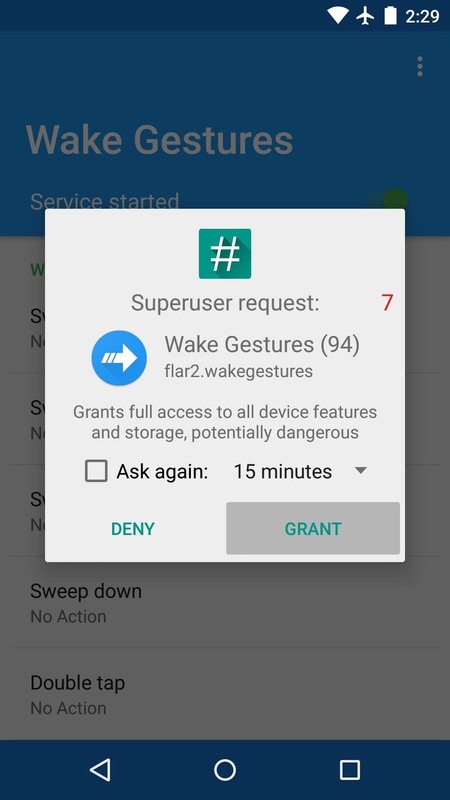 When you first run Wake Gestures, the app will ask for Superuser access, so tap "Grant" on the popup. 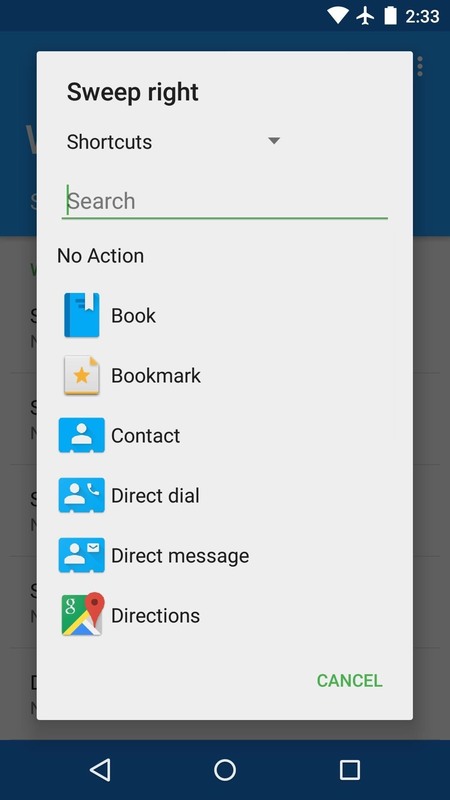 Immediately after that, the Wake Gestures service will be started and you'll be taken to the app's main menu. From here, you'll see all of the wake gestures that you enabled during kernel setup. Tap one to configure it, then use the drop-down menu to select the type of action that you'd like to launch when performing this gesture. 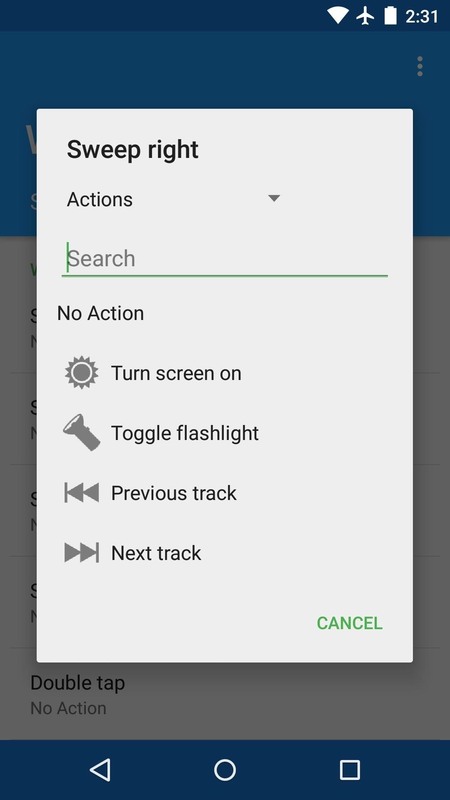 "Actions" include options for controlling media playback with wake gestures, as well as toggling the flashlight and turning the screen on. "Shortcuts" can be used to launch a specific activity within an app, such as directions to a location with Google Maps or direct dialing a contact. The "Applications" option allows you to launch any app with one of your wake gestures. 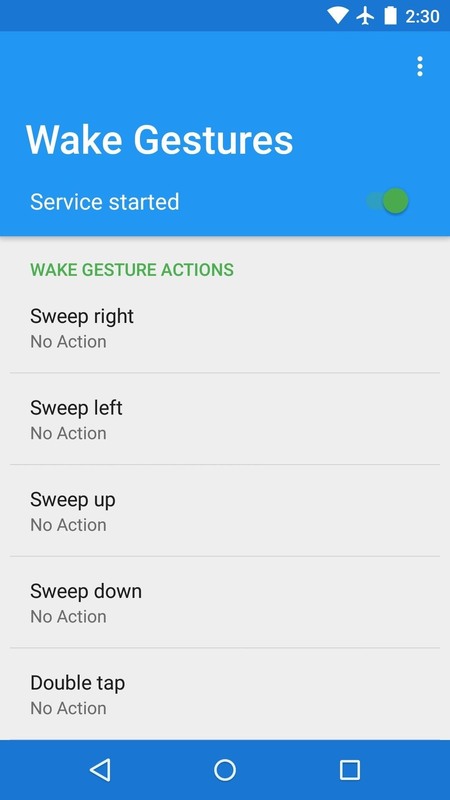 Go ahead and assign actions to all of your wake gestures, then there are some additional options just below these entries. 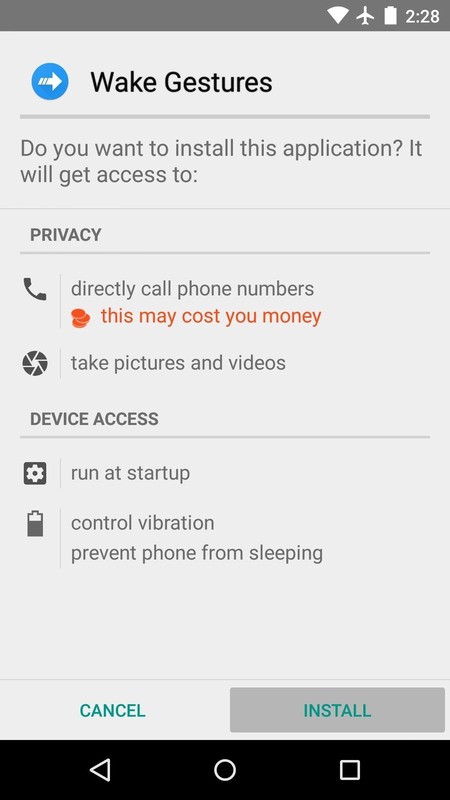 "Pocket detection" uses your phone's proximity sensor to disable the service while your device is in your pocket, and "Power button disables" lets you override the wake gestures by locking your device with the power button. Other options can be adjusted, but these are best left at their default values in my opinion. With all of that set up, simply turn your phone's screen off. When you perform one of your wake gestures, the activity or app that you chose will launch immediately. What actions did you assign to your wake gestures? Let us know in the comment section below, or drop us a line on Facebook, Google+, or Twitter. Yes. As a matter of fact, the Nexus Root Toolkit would be the easiest way to update after modifying any system-level components like the kernel. So as long as you're comfortable using NRT to update, this mod shouldn't give you any troubles in the long term. 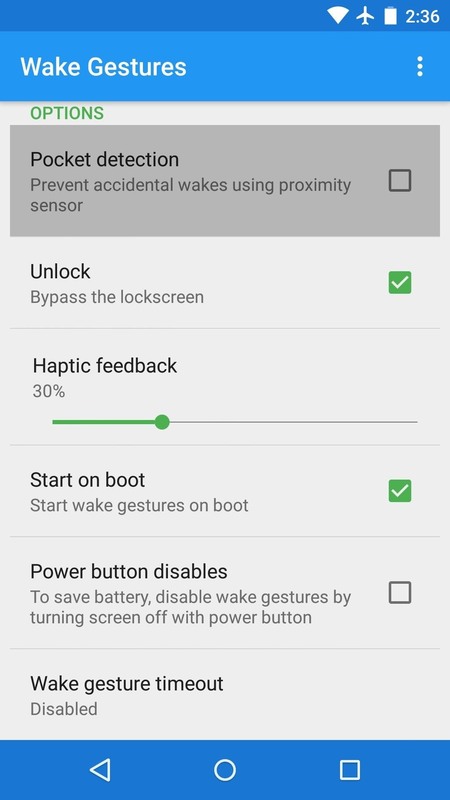 does this wake gesture drain battery ? Yes, the gestures do add battery drain. This is true for just using the wake gestures to wake your device, but it is also true for using this app to customize what the wake gestures launch. 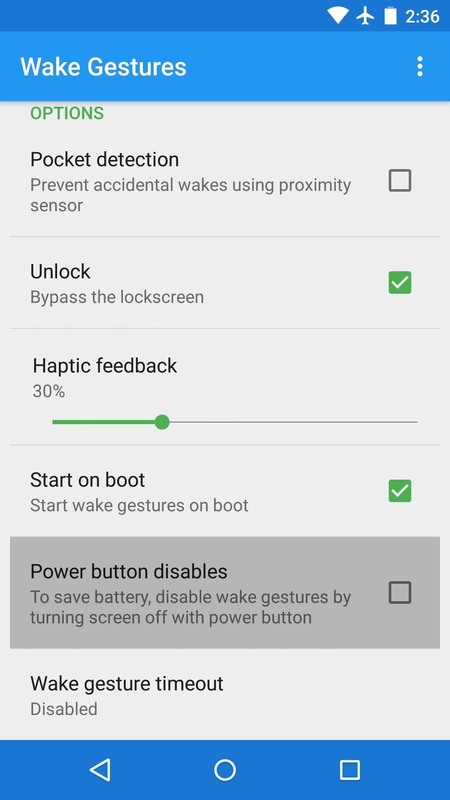 I'd say the wake gestures themselves count for an additional ~5% of daily battery drain, and the "Wake Gestures" app (which runs a service) adds another 1 or 2%. Enabling the "Pocket detection" option in the Wake Gestures app would add another ~3% to that second number. is it possible i make the wake gesture timeout more than 15min if in kernel setup i set it 15min only ? and how do i remove custom kernel ? You can customize ElementalX with their kernel management app (here), so that might be worth a try for adjusting the gesture timeout. Removing the custom kernel is easy—just flash the stock "boot.img" file in fastboot. 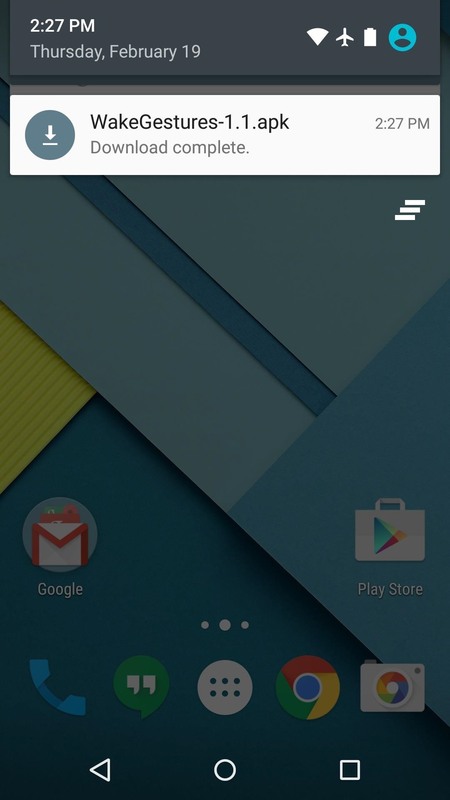 Here's a good guide to get started with that, but note that all of the links are for the Nexus 6 factory images. can you post the code of this app ?